Finding the right used car starts with finding the right used car dealer. At the Norm Reeves Honda Superstore in West Covina, we’ve been helping the people of Baldwin Park, Pasadena, Pomona, and beyond find reliable used cars at affordable prices for years. Our diverse collection of used and certified pre-owned vehicles provides you with a diverse selection of cars to choose from. That’s how you know you’ll find the car you want with the features and specifications you need. At the Norm Reeves Honda Superstore in West Covina, we have years of experience helping customers just like you find the vehicles they need. We start by keeping a diverse inventory of vehicles for you to explore and then pair you with one of our knowledgeable sales representatives to help guide you. Our friendly sales representatives will go over what features and specifications you’re looking for and build a selection of vehicles from our inventory that meet your requirements. You’ll be given an extensive tour of each model finished by a personal test drive. Of course, you’ll still be able to browse our entire inventory of used vehicles and test any model you’d like. While our entire collection of used cars features high-quality, affordable vehicles, Honda certified pre-owned vehicles provide an exceptionally terrific value. In order to achieve Honda Certification, each model has to pass a 182-point vehicle inspection. This inspection covers both mechanical and aesthetical aspects of the vehicle. These models also come with a free vehicle history report, giving you added peace of mind. In addition to the free history report and extensive inspection, all Honda certified pre-owned vehicles come backed by a seven-year/100,000-mile manufacturer warranty. All of those things add up to make a used car that you can really rely on. 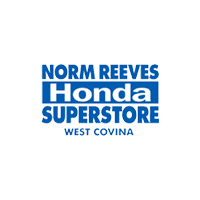 At the Norm Reeves Honda Superstore in West Covina, you’ll find a relaxed and stress-free environment to explore, discover, and experience a great selection of quality used cars. Contact us today and start finding the perfect car for you. We can even help you get the most value for your trade-in to put towards your next vehicle. So come to the Norm Reeves Honda Superstore in West Covina – Serving the communities of Baldwin Park, Pasadena, Pomona, and beyond, year after year. Schedule your test drive conveniently online! Be sure to take a look at our current collection of used and certified pre-owned vehicles, which have all been listed on our website. Then, when you’re scheduling your appointment, be sure to let us know which models you’re interested in. At Norm Reeves Honda Superstore in West Covina, we’re proud of the city we work in, which is why we’re proud to be your trusted West Covina used car dealer.